Mandate Pictures announced today that the company has acquired ‘BULLIES’, an original idea from Danny McBride (TROPIC THUNDER, PINEAPPLE EXPRESS) to be written by Andrew Mogel and Jarrad Paul (YES MAN) and produced by Rough House Pictures. The comedy about two brothers who have bullied people their whole life and finally get what is coming to them will be produced by Rough House principals Danny McBride, David Gordon Green, Jody Hill and Matt Reilly. Mandate President Nathan Kahane will executive produce and Lawrence Grey will oversee the project for Mandate. Andrew Mogel and Jarrad Paul, who previously wrote YES MAN, also currently have the comedy HIMELFARB in development at Warner Brothers. They recently wrote an animated spec pilot about a precocious little boy and his unique family called ALLEN GREGORY for Fox TV which they co-created with Jonah Hill, and was picked up by the Fox Network. The show is being produced through 20th Century Fox with Chernin Entertainment producing as well. Danny McBride stars alongside James Franco and Natalie Portman in David Gordon Green’s film YOUR HIGHNESS, which is slated for an April 2011 release by Universal Pictures. McBride is currently in production on the second season of HBO’s “East Bound and Down,” which he and Jody Hill co-created, co-write and produce together. Jody Hill directed the pilot and final episode of the first season. David Gordon Green has also directed episodes. Danny McBride recently co-starred in Jason Reitman’s Academy Award® nominated film UP IN THE AIR. He has appeared in other major theatrical comedies including PINEAPPLE EXPRESS, TROPIC THUNDER, and THE FOOT FIST WAY. Andrew Mogel and Jarrad Paul are represented by UTA, Principato Young Management, and Ziffren Brittenham. Danny McBride, David Gordon Green, and Jody Hill are represented by CAA and Forefront Media. Dan Freedman, Mandate’s head of business and legal affairs, brokered the deals on behalf of the companies. Mandate Pictures has a first-look deal with David Gordon Green, Jody Hill and Danny McBride to produce high concept comedies with their brand of humor. Combining their creative filmmaking with Mandate’s financing and producing expertise, ROUGH HOUSE PICTURES seeks to establish itself as a hub for exciting and bold comedic voices. The co-venture will be dedicated to financing, developing and producing feature length comedies. Matt Reilly segued from his post as Vice President of Production at Warner Bros. Pictures to join ROUGH HOUSE as head of production and is a participant in the business. Projects in development include ‘L.A.P.I.’, an action-comedy pitch from writers Michael Diliberti and Matthew Sullivan, through Rough House’s deal with Mandate Pictures. 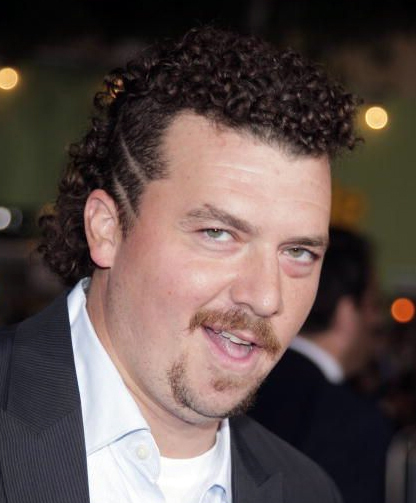 Jody Hill is attached to direct and Danny McBride is attached to star in the action-comedy. Recently, Mandate acquired an untitled comedy pitch based on an idea by comedian Aziz Ansari and Emmy Award-winning “30 Rock” writer Matt Hubbard, to be produced by Rough House Pictures. The feature length comedy will be written by Harris Wittels (“Parks & Recreation”) with Ansari and McBride attached to star. Jody Hill, David Gordon Green and Danny McBride all went to the North Carolina School of the Arts and lived on the same dormitory floor their first year although Green is one year older. McBride saw Green’s first short film called Will You Lather Up My Rough House and that was that in terms of his admiration for Green. McBride was the second unit director on Green’s feature debut George Washington and McBride had a supporting role in Green’s next film All the Real Girls, which won the 2003 Jury Prize at the Sundance Film Festival. McBride first gained industry awareness with this role; however, it was when he returned in 2006 with the Sundance Film Festival smash hit comedy The Foot Fist Way that he became a known name in Hollywood and desired by its top producers and directors. McBride, who starred and co-wrote the film with Jody Hill and Ben Best (Superbad), caught the attention of Will Ferrell and Adam McKay after it debuted at Sundance, under their banner Gary Sanchez Production, and the film was later released by Paramount Vantage. McBride is currently in production on the second season of East Bound and Down, with new shows returning this fall. He and Hill co-created, co-write and produce the series together. Hill directed the pilot and final episode of the first season. Green has also directed episodes. Green’s film Your Highness starring McBride, James Franco and Natalie Portman is slated for an April 2011 release by Universal Pictures. Mandate Pictures is a multifaceted film production and financing company with a distinguished reputation and proven track record of success and profitability. Acquired by Lionsgate (NYSE: LGF) in 2007, Mandate continues to operate as an independent brand delivering acclaimed commercial and independent films worldwide. Under President Nathan Kahane, Mandate has carved out a unique position in the film industry, having the creative autonomy and capital to finance, develop, package and produce theatrical films such as the Academy Award®-nominated film, JUNO, directed by Jason Reitman, written by Diablo Cody and starring Ellen Page, Michael Cera, Jennifer Garner and Jason Bateman. Mandate’s upcoming films include THE SWITCH, starring Jennifer Aniston and Jason Bateman, which will be released by Miramax Films on August 20, 2010; and an untitled comedy starring Joseph Gordon-Levitt and Seth Rogen, which will be distributed by Summit Entertainment.